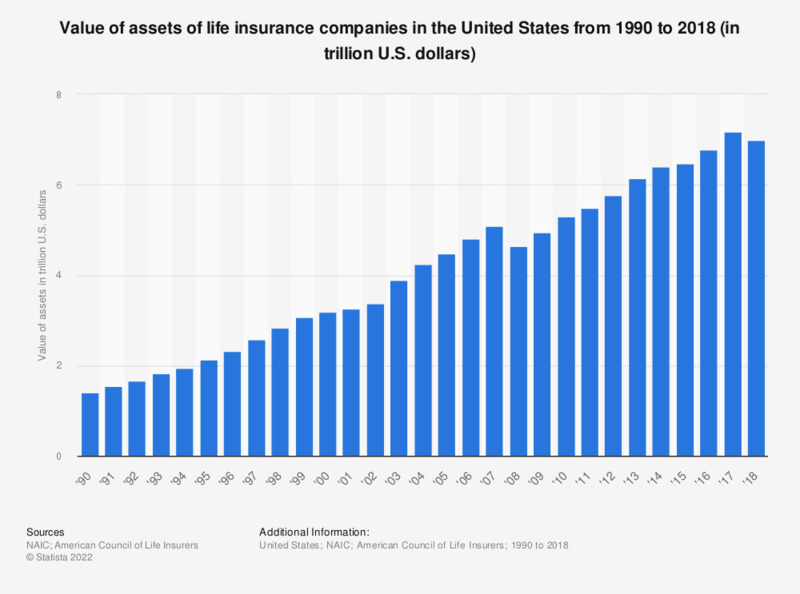 The statistic presents the value of assets of the life insurance companies in the United States from 1990 to 2017. In 2017, the assets of the U.S. life insurers amounted to approximately 7.18 trillion U.S. dollars. Data since 2003 include fraternal benefit societies.